Langjökull is the second largest glacier in Iceland. The literal meaning is “Long Glacier” as it is pretty long. It is 925 km² big with the highest peak at 1405 m. The view from there is truly spectacular. Below the glacier are at least two active volcanic systems but they are relatively quiet regarding volcanic activity compared to other regions of Iceland. Three smaller glaciers lie close to Langjökull; Eiríksjökull, Hrútfell and Þórisjökull. Þórisjökull lies just south of Langjökull and was named after an ogre called Þórir, who used to live between those two glaciers. 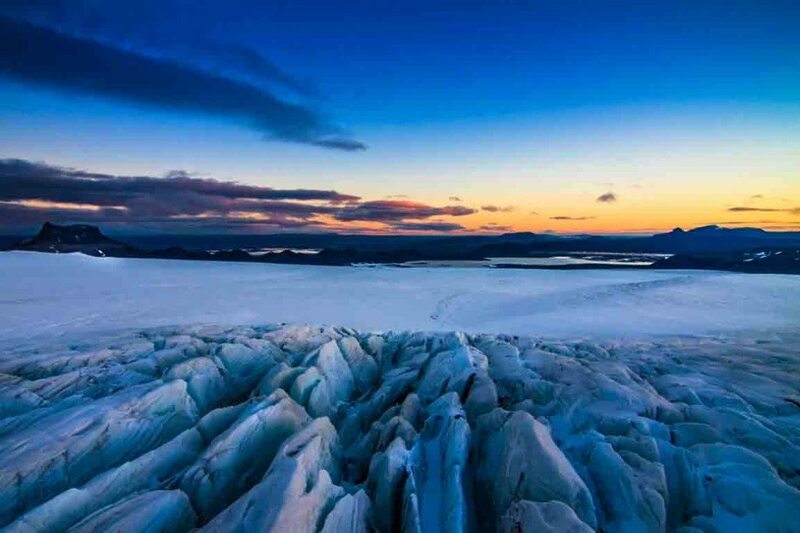 Experience Langjökull on the Glacier Landing tour or the Fire and Ice tour.